Cesium frequency standards work by squirting Cesium atoms from a reservoir that's heated to boil off some atoms from a small piece of cesium liquid metal. These atoms are processed is such a way that they become an atomic frequency standard. The problem is that there is a finite life to the Cesium source and when it's used up the whole physics package needs to be replaced. Another problem is that the physics package operates under a hard vacuum. To maintain this vacuum there's an internal ion pump. If the unit is left in storage without power the ions in the physics package accumulate and when the unit is powered up some time will be needed to pull them out. After some years of storage it may not be possible to get the hard vacuum and the unit will be dead. 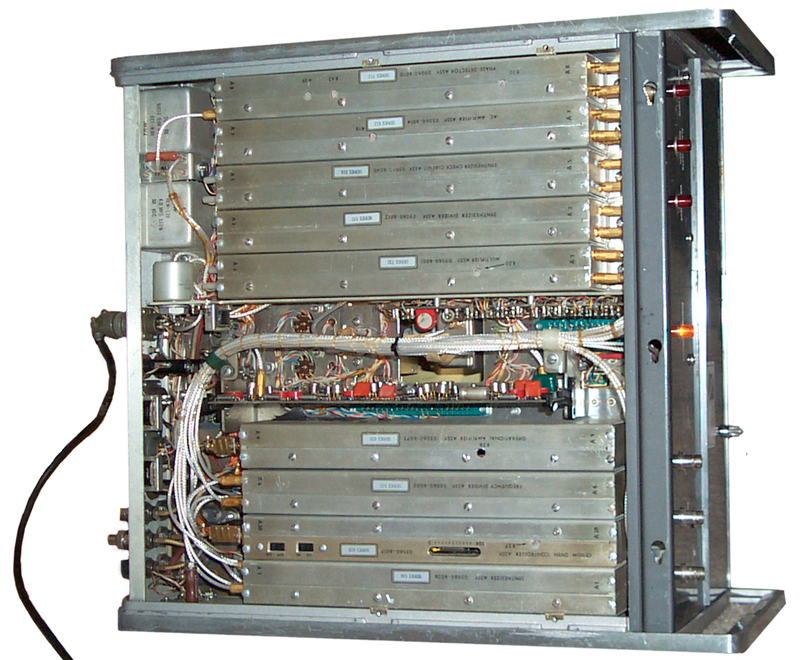 Symmetricom sells a universal Cesium physics package for about $16,000 plus installation. Most of the used Cesium standards on the market are there because they have either died or are about to die. 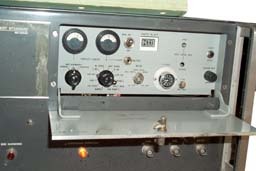 Prior to working Cesium beam frequency standards the official meter was defined by an invar rod (i.e. a real physical standard). Today a meter is defined based on the distance that light travels in a specified time. The definition of a second was also changed from being based on the rotation of the Earth to the Cesium clock since the Earth speeds up and slows down. Of all the things that can be measured time (or frequency, time interval, etc.) is the one that can be measured with the most precision. 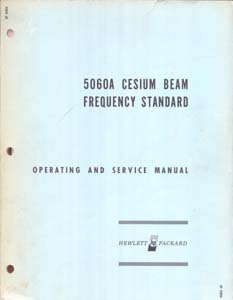 The HP Cesium standards became the world's common time standard. As of 2005 Agilent (formerly the Test & Measurement division of HP) is selling off their Cesium standard business to Symmetricom. 1955 - Louis Essen at the National Physical Lab in the UK comes up with the idea for a Cesium clock and the first one is built. Note that the NPL unit was a clock that kept Cesium based time for the three years needed to do a correlation study with the USNO (and probably ran longer than that). The U.S. standard was moved from the East coast to Colorado and was more a frequency standard than a clock. 1964 - The HP 5060A, a cesium-beam standard instrument, gains worldwide recognition as the "flying clock." International standards for time set by flying the HP 5060A around the world. 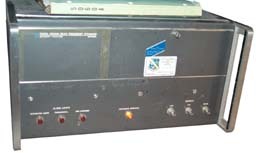 Accuracy 2E-11, Precision 1E-11, uses 5 MHz Xtal oscillator. 1967 - HP acquires the rights to make the Cesium Beam Tube from Varian, Beverly Mass. 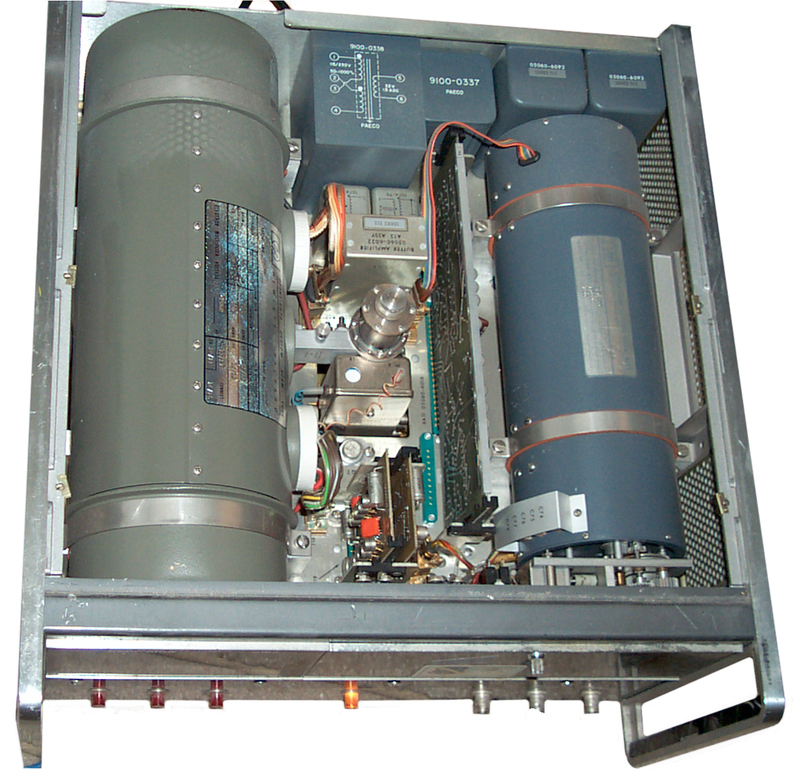 1995 - 58000A Time and Frequency Reference Distribution Module, 58503A GPS Time and Frequency Reference , 10811D/E Oscillators, E1750A 100 kHz to 10 MHz distribution amp in VXI format, E1752A 1PPS dist. 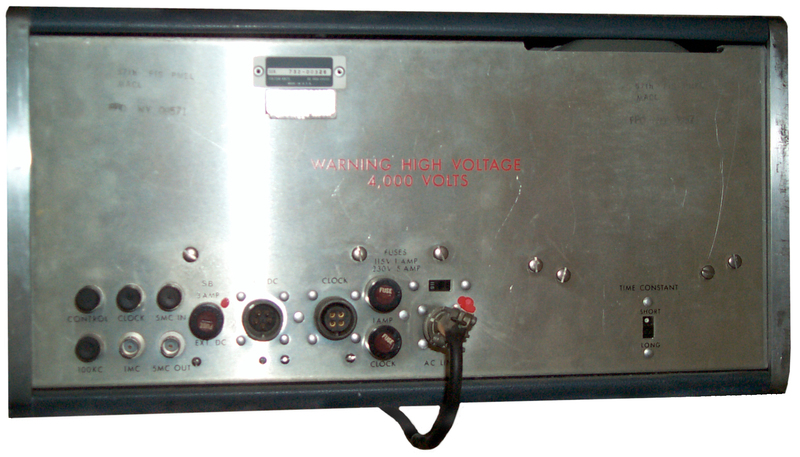 amp in VXI format. Now that the 5060A has been running for a number of days with the "Continuos operation" light always on, it just needed some time to settle down. When all is well you get the "continuos operation" light. There is an adjustment for changing the magnetic field around the Cs beam tube. This has the effect of tweaking the output frequency. The scale of the 10-turn knob is about 1E-9 per turn, or 1E-10 for 1/10 of a turn (big division), or 1E-11 for 1/100 of a turn (one tick mark). You can see that's it's not easy to get the Cs source set to within better than 1E-11. 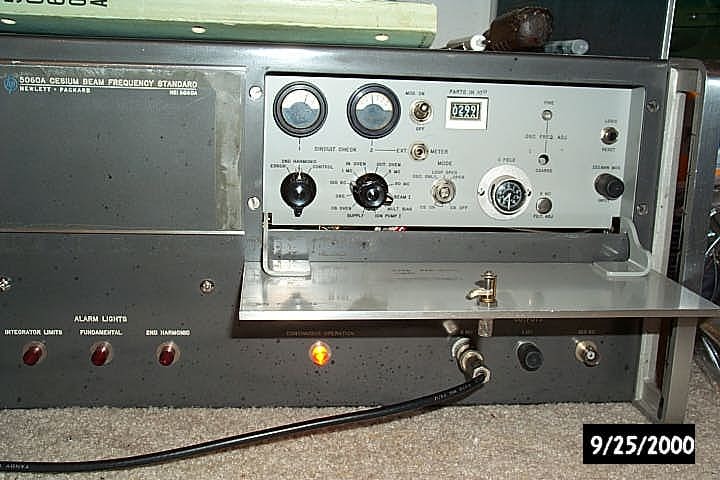 This appears to be like the PRS10 which has a very high Q but the actual frequency depends on a number of subtle factors. It's questionable to me which is the better timekeeper, the old 5060A (1E-11 spec) or the new PRS10 (1E-12 spec)? The life of the PRS10 will be much longer than any Cs source but the newest Agilent 5071A will provide better stability. The manual says that the C Field adjustment is to set the correct hyperfine transition using a injected audio signal at the Zeeman frequency. But the specifications clearly say that the fine frequency adjustment is 1E-9 per revolution or 1E-10 per division (10 divisions per revolution). 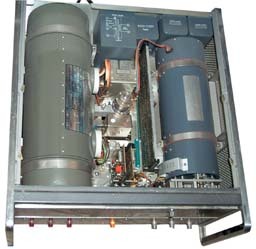 26 July 2005 - Note even though the actual operating frequency can not be set as accurately as newer standards, because of being a Cesium standard the frequency will be constant (i.e. it will not drift). By using a GPS timing receiver the actual frequency can be determined and then backed out of measurements made. So for measurement applications it's as good as a modern standard. 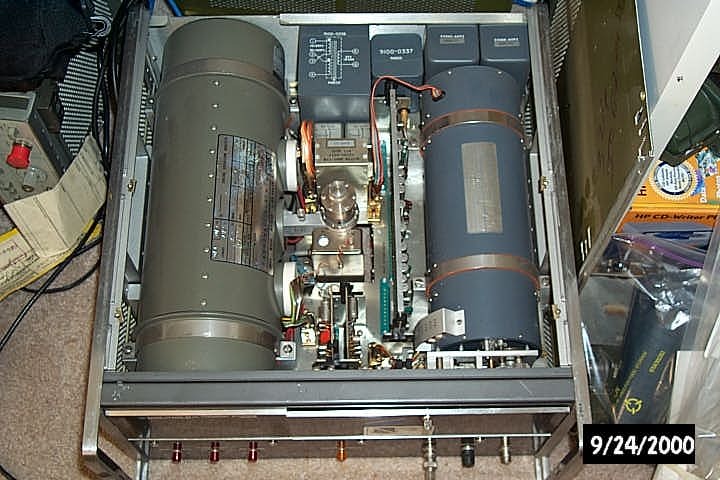 The two main cylinders inside on the top are the Cs physics package and the 5 MHz crystal oscillator. 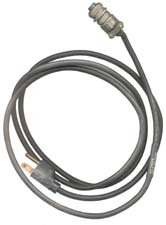 This crystal oscillator is used in a number of other HP products. It is based on the idea of having a large thermal mass surrounded by a double oven that uses a proportional controller rather than a bang bang controller. 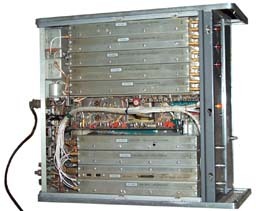 The electronics are contained in metal boxes on the bottom side. This is a used unit that has scratches and dings. The physics package seems to be working, but the 1 Mc divider dies not start. An adjustment may be needed or a repair. Since the 1 Mc divider is not working then the 100 kc divider can't work. These instructions are intended for starting a unit that has just been received or has not been used for some time. Place the mode switch to osc. only. With circuit check 2 switch in supply verify a reading of about 8. If significantly hi or low remove ac power until supply is repaired. If OK so far place the switch to ion pump I. Then place the mode switch to loop open. The ion pump I may rise and peg again. This is OK it may cycle for up to 24 hours again. The cesium oven reading should come up to above 4 when you switch to loop open. It may also cycle Off and On until the ion pump I stops cycling. Once the cycling stops the Cesium oven reading should drop to approx. 4 in about 30 minutes. If it doesn't, turn power off until oven repaired. The in oven and out oven readings should drop in about 4 and 2 hours. If not turn power off until repaired. Now with mod switch off and meter 2 in beam I position connect a frequency counter to the 5 Mhz output. Slowly adjust the coarse oscillator adj. back and forth across 5 Mhz by about plus/minus 1 Hz while watching the beam I meter. You should see three peaks on the meter with the one at 5 Mhz the biggest. Set the adj. for the central peak. Put circuit check I to 2nd harmonic. The 2nd harmonic reading should rise. Now place mode to operate. Wait about 30 seconds and then push the logic reset button. The continuous operation lamp should light. This is a quick check only. If the peaks are present while tuning through 5 Mhz this is a good sign that the tube is operating, but you would need to run it at least 100 hours to make sure the levels stay stable. However not seeing them could be the result of other circuit failures. Note that once you have the 5060A locked, it can be unplugged and later just plugged in and will just lock by it's self.